Well, I just made it back to the shipyard a couple of days ago. 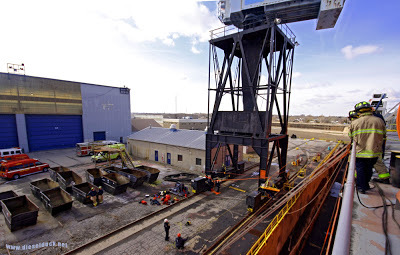 A brief time at home this time, had to come back and make sure we are on track to complete all of our projects, while our time in the shipyard draws to a close, and the beginning of the trading season starts on the St Lawrence Seaway. It is kind of neat to see the Welland Canal, part of the St Lawrence Seaway system, between Port Weller on Lake Ontario, Port Colburn on Lake Erie, completely drained of water – the bottom of the waterway is clearly visible. This allows all the water flowing through the two lakes to be diverted through the hydro electric dams to generate power – I assume. It also allows the seaway to perform maintenance on the various locks systems. 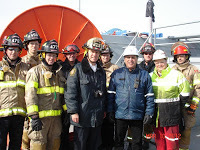 They will be re-flooding this part of the system on the 15th, and it is hope that we will slide out of our graving dock, and make way for the Canadian Navy destroyer Athabaskan, due in for a major refit in early April. This morning I had a few work items planned, when I started to check the office computer and looked over to the barge… WTF I said to myself, dozens of firemen were crawling all over it. So the Tankerman and I headed over, and found half a dozen firetrucks. It was pretty clear there wasn’t an emergency but it was strange to see the buzz around the ol’ spirit. 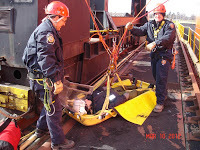 Turns out the local fire department with the Seaway Authority were doing some training on rescues from ships, and were practising rope rescues from the tank barge McCleary’s Spirit. 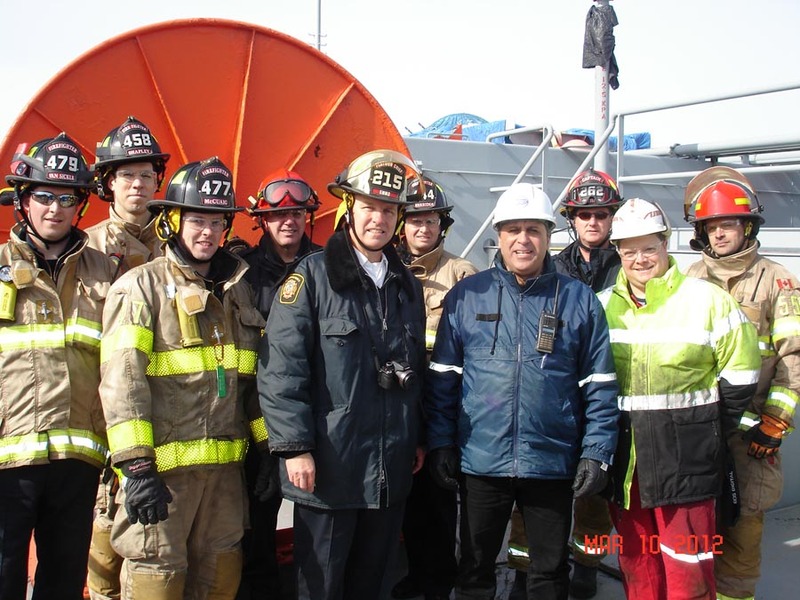 Following the exercise I volunteered to introduce the group to the tank barge and its hazards and systems. Which as unprepared as I was, worked out pretty good. Here’s some pics. Always something different, when you work on a ship!